It was time. There was a journey to be had. And yet, it was not quite as bouncy and storied a beginning as I would have liked. If you have been following this strange leviathan of a journey, then you will understand why this next part was filled with trepidation, like sticking one's toe into cold water. I was headed off to New Jersey, you see. Normally, the idea of being road-bound was more excitement than I could take, but having survived my killer van incident, I was wincing more than smiling. And, since the thing was still in the shop 'til the last possible moment, I was making my hostess nervous as well. Still, there was nothing to be done but hold one's breath and wait--I was Jersey bound no matter what: see, I was scheduled for five classes there. A caravan parade of all those "Jill of All Trades" skills that I managed to bring with me: Middle Eastern Dance, sewing, wood burning, herbalism....if I could just GET THERE. But then, finally, that junker of a vehicle was released to me, and I was off. Mind you, the whole time I held my breath, sure that something was bound to unravel; I drove in high grandmotherly fashion for 20 hours, sluggishly moving--too safe--in order to keep my newly precious van out of harm's way. Even my brief reprieve in Virginia offered little relaxation; I was only half-way through my journey, then. Slowly but surely, though, I'd gotten along. And suddenly, I was swerving down the ramp to a place called Mount Holly, a town I'd only seen in maps. I should probably note an unfair thing about myself here: I had typically stereotyped the place. What was New Jersey, if not big warehouse, smoggy, urban, bullet-riddled metropolis? Boy, was I wrong. I had known New Jersey's background as "The Garden State," and heard about it's storied past in farming and garden markets. How this translated into a foggy modern landscape I wasn't sure---there had to be some charm somewhere in there, right? 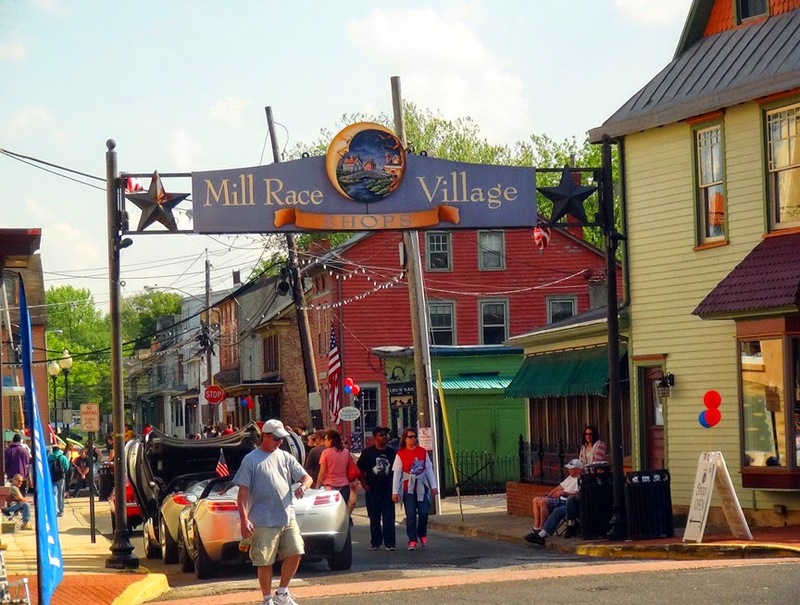 The enchanted world of Mill Race Village! A historically referenced place, every (and I mean EVERY) structure boldly displayed its 18th or 19th century pedigree. There were no modern brick buildings, no massive skyscrapers, no concrete behemoths, no gaudy giant warehouses around here. Nope, not in this place. Small cottages, renovated farmhouses, original old structures were part of the "Pinewoods" or "Piney" culture. Mill Race Village stayed true to its roots...a large stream actually flowed underneath and around the village, the water once used to power the bygone mill industry there. The town boasted, as all towns should, it's own firehouse, old fashioned ice cream place, lots of little, artsy businesses housed in old, enchanting cottages. The shopkeepers friendly--heck, everyone said hello. A diverse group of people lived here, in a dreamy, strange, enchanting landscape I'd never quite seen before. My hostess, Holly Doyle, fits in easily. Readily polite and accommodating, I sense that she has a bolder interior, but one thing is for sure: she loves what she does, and the people around her. 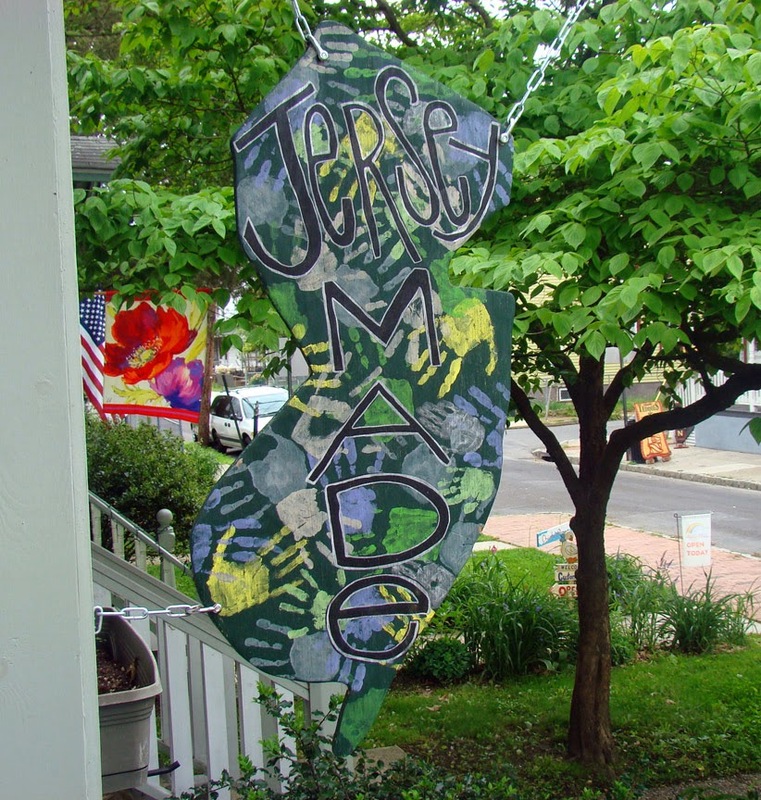 She is the proprietress of Jersey Made and, true to its name, it boasts a wide array of quality-hand made things by artisans, crafters, and farmers from all over New Jersey. The inside of the place is exquisitely charming, packed brim-full of various lovely items and sundries. 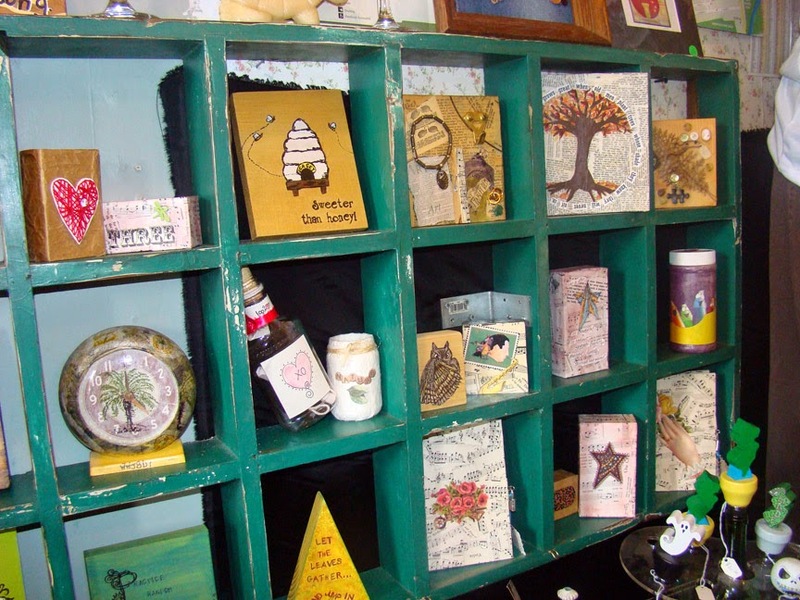 There are soaps, honeys, knitted things, art and mixed media, jewelry, antiques, hand made clothing, baby items...it's a massive display of Jersey talent. 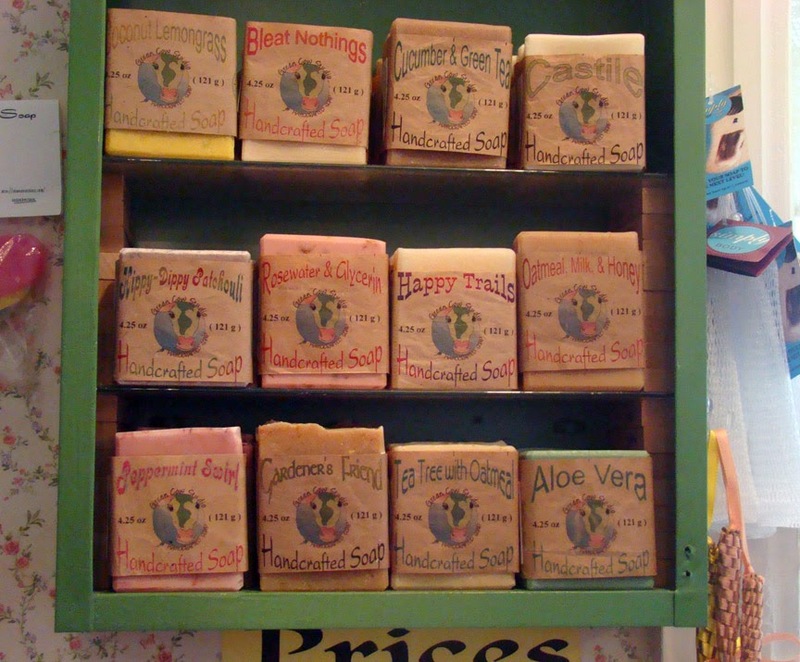 The soap-making heart of mine loves these soaps! 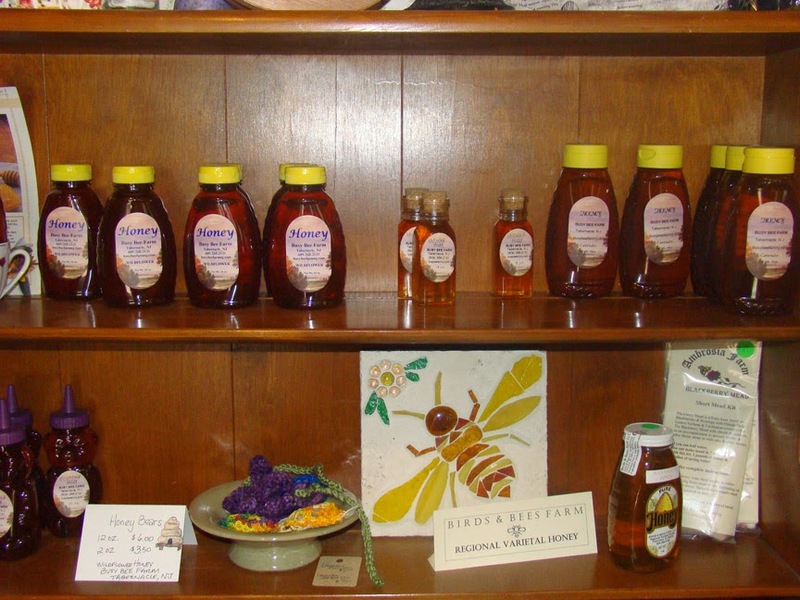 The beekeeping part of me love this honey! Homemade art, much of it one by Holly, herself. I am buoyed by this collection of goodies. I will learn later, that her shop neighbors have cottages of equally fine things: The neighbor to the left of her embosses and embroiders names on charming items, and the neighbor the right of her--a couple actually--sells old time musical instruments, woven baskets, gemstones, incense, and interesting items from old-time living. I am in HEAVEN! 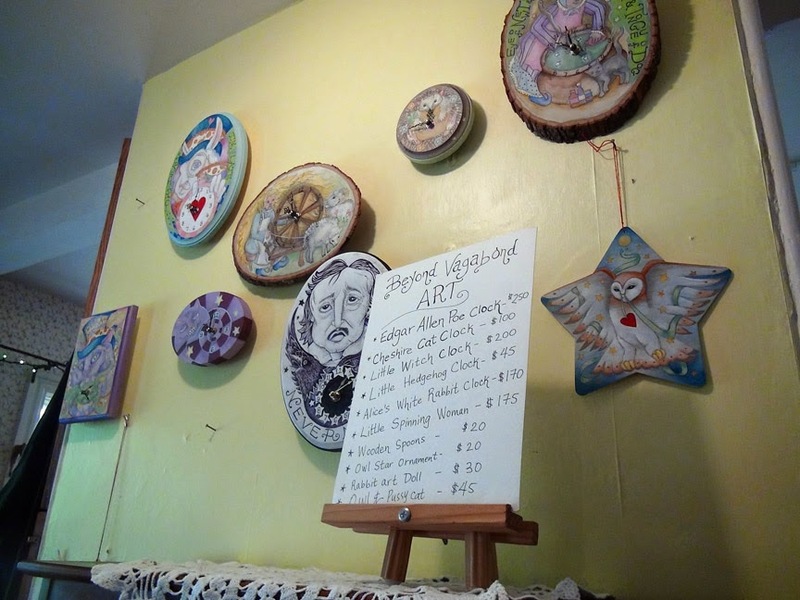 There were other little antique stores, country prim stores, lovely restaurants, quaint diners, and more to appreciate, as well. Very kindly, Holly has made me space to sell my clocks, soaps and honeys. People bought them throughout my stay. It's a three day affair, and so many funny and fine people stroll through, it's a kind and curious, dreamy experience. The whole town is a cornucopia of charm--there's even a gypsy wagon parked in the middle of town! Though the first day was rather a dreary, rainy day...the rest of the story continues as a bastion of learning, laughing, and a car-painting bonanza. <3 it was a pleasure to have you I really hope you can stop by again! !